A.J. has more than 17 years of healthcare industry experience. His unique knowledge, understanding, and ability to integrate patient engagement with healthcare operations, IT, business processes, marketing/advertising, contact centers, and electronic medical record systems is invaluable to healthcare organizations. 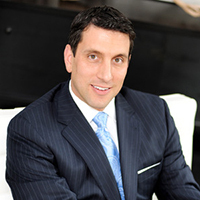 He spent most of his healthcare career at NorthShore University HealthSystem in Chicago, Illinois, as Assistant Vice President of Interactive Marketing. In that role, he integrated traditional and new media as a single branded voice to its patients through their contact center, Interactive mediums and other communication channels. A.J. also spent time as an interim hospital vice president responsible for day to day operations. After 11 years at NorthShore, A.J. was the Vice President of Hospital Markets for Sharecare Inc., which was founded by Jeff Arnold (Founder of WebMD), Oprah Winfrey and Dr. Mehmet Oz. He was responsible for business and product development for this high-profile startup company. A.J. founded Singola Consulting in early 2012, a strategic healthcare company focusing on electronic medical record implementation and optimization, contact center creation and operations and the integration of interactive and traditional marketing/communications. Also, he is the co-founder of On-Site Studios, a cloud-based virtual video production company that was originally created for healthcare organizations to produce physician profile videos. On-Site Studios has since expanded into other industries and is being used for multiple video needs including live TV broadcasts. A.J. obtained his undergraduate degree from Cleveland State University where he was a Division I athlete and has his Master's Degree from Purdue University. He serves on multiple industry advisory boards as a nationally recognized expert in patient and physician engagement strategies. 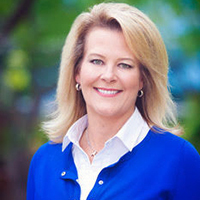 Lindy Thomas is a trusted partner and senior consultant, whose extensive background in the healthcare and communications industry has lead her to become an expert in patient access and engagement, strategic planning, and operational productivity and effectiveness. Lindy started her professional career in contact center operations, where she provided strategic oversight and leadership to build successful and produc- tive operations. Lindy has held many executive leadership roles with various organizations, with the last 10 years focused in healthcare. These companies include: American Airlines, Providian, Citi, and Stericycle Communications Solutions through the acquisition of BerylHealth. Her most recent position, was a consultative role that enabled her to developed a deep understanding of the complexities and challenges faced by many healthcare organizations today. With more then 25 years of experience, Lindy is able to combine her expertise and strategic insight to conduct performance assessments, identify gaps and inefficiencies, design and propose organizational improvements, produce deliverables and develop strategies that promote profitability, growth and sustainability within healthcare organizations across the U.S.
Lindy has been a keynote speaker for ICMI Contact Center Expo & Conference and has hosted round tables to share best practices. She has also been recognized for her volunteer efforts for United Way, March of Dimes and was a recipient of the Presidential Volunteer Award, Chairman’s Leadership Award and YMCA Women of Business Award. Praveen Nath is a partner and senior consultant, who is recognized for his success in leading technology initiatives and streamlining business performance operations to gain efficiencies, while safeguarding profitability within the contact center and healthcare industries. His comprehensive knowledge in healthcare, contact centers, business processes, strategies and technologies has lead him to become an expert in the field. 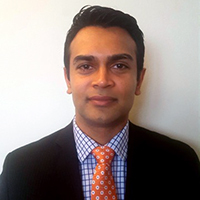 Praveen has held many executive leadership and consulting roles with diverse companies like Advocate Health Care, Accenture, NorthShore University Health System, Apex Digital and Broadband Solutions. He played a key consulting role while with Accenture, managing and building from the ground up, three contact centers with a combined 1,500 agents and two data centers to host a centralized eligibility application and customer portal. He has applied various technologies to enhance performance and workflow processes such as: workforce management, speech analytics, call recording, metrics reporting and automated speech recognition tools, to improve operational efficiencies in service levels, staff forecasting, reporting, performance metrics and client/patient satisfactions rates. Praveen draws on his broad range of professional, educational experiences and expertise to analyze and integrate performance optimization and technology to design, create and implement, effective solutions that supports business change across contact centers and healthcare organizations nationwide.